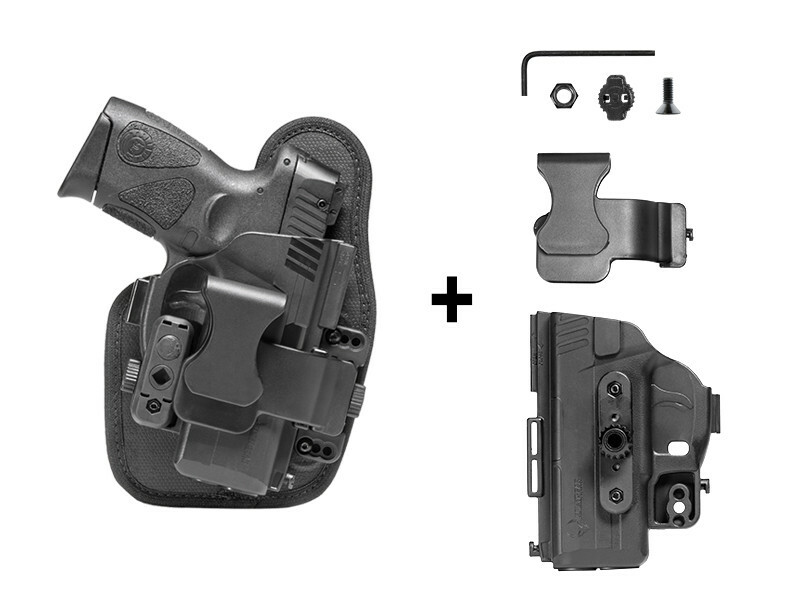 A modular holster adapts. 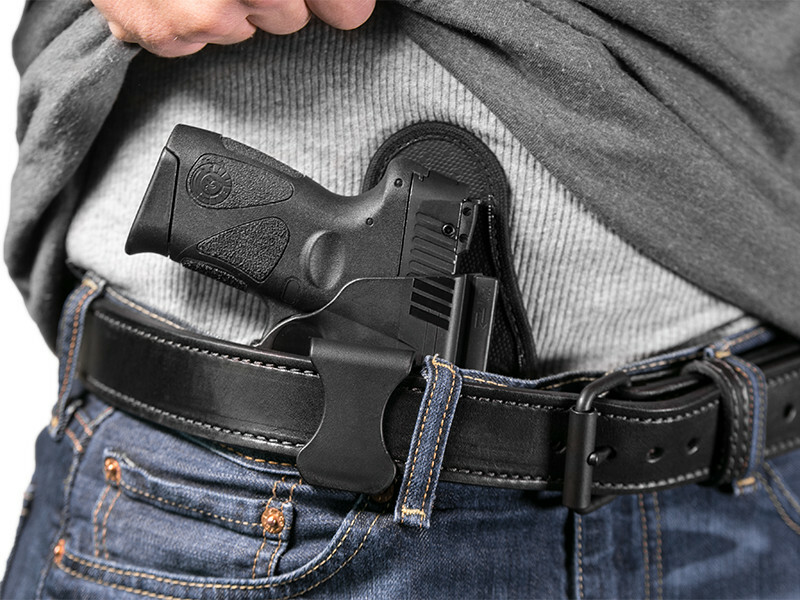 You control how the sidearm is carried based on your lifestyle, with the ShapeShift appendix holster. 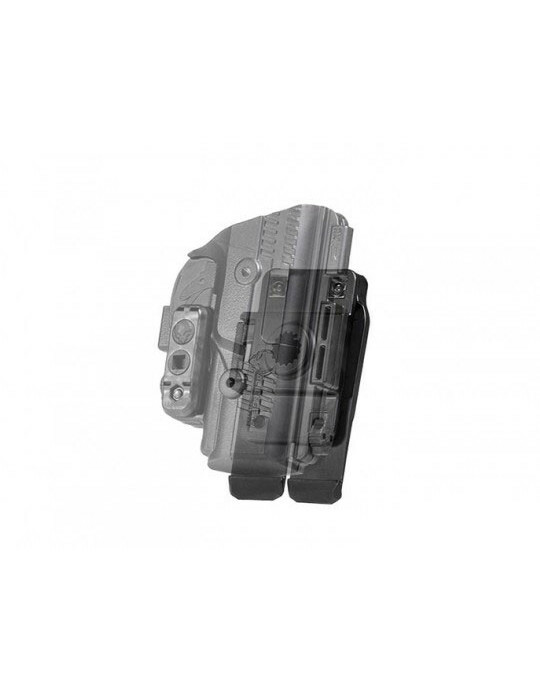 That 6.3” firearm is concealed safely and comfortably by the shell and holster backer. 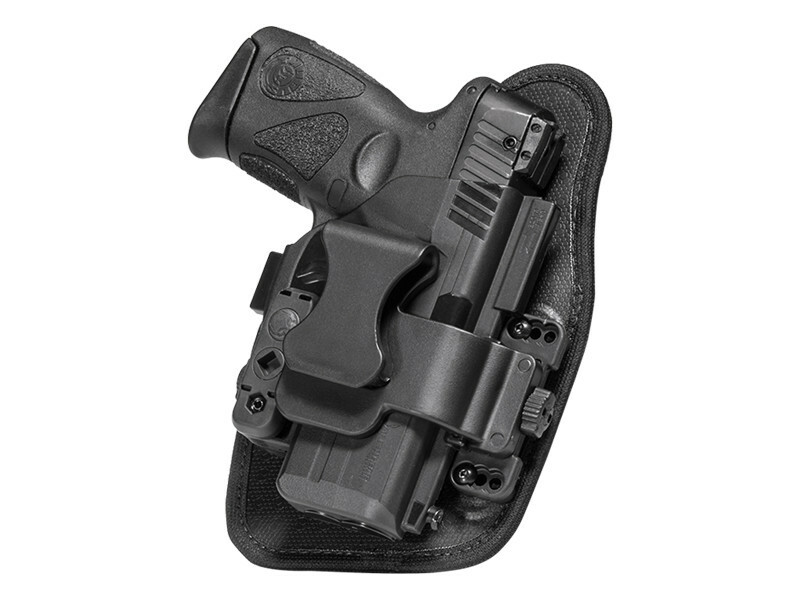 The ShapeShift Taurus PT140 Millennium G2 appendix holster backer is utilitarian. There's a rear layer of perforated neoprene that wicks moisture, a spring steel core for flexible support, a layer of ballistic nylon inside for enhanced durability and a front layer of thermo elastomer. 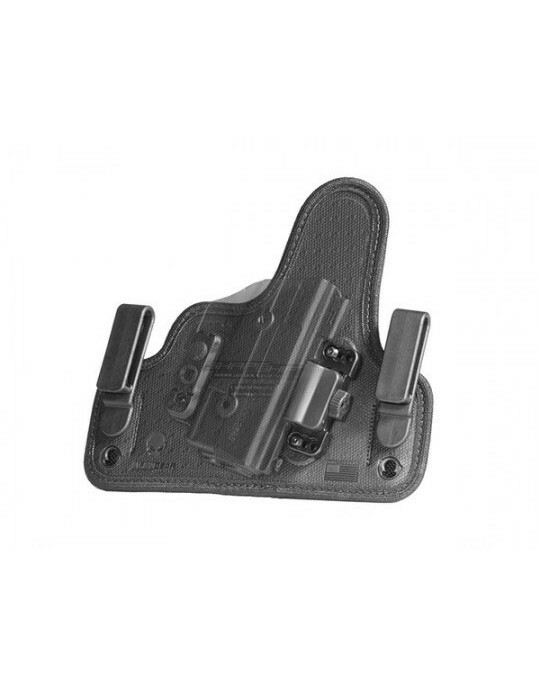 The compact handgun frame rests against all those layers, which are edge bound together, at the front of the waist. A low-profile “half-shell” encloses the trigger guard and the slide, and it's mounted to that backer with immensely durable components. Those components of course can be reconfigured to transplant the shell into the other ShapeShift carry systems like OWB belt slide or OWB paddle. 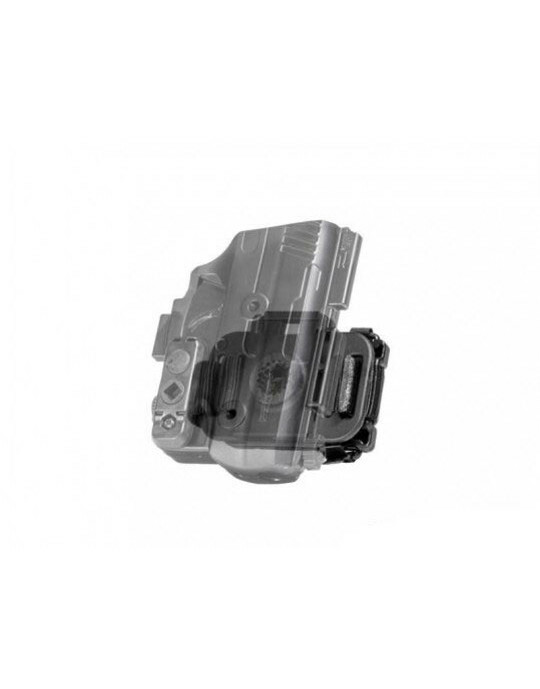 The shell is made of a premium engineered polymer and is injection-molded to precisely fit the Taurus PT140 Millennium G2. 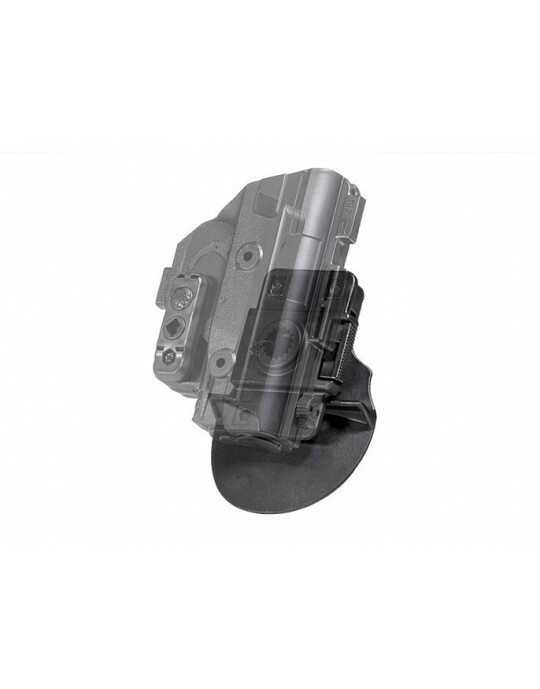 An adjustable retention unit may be installed to tighten or loosen the passive retention on the shell. All this customization, by the way, is done without any tools. 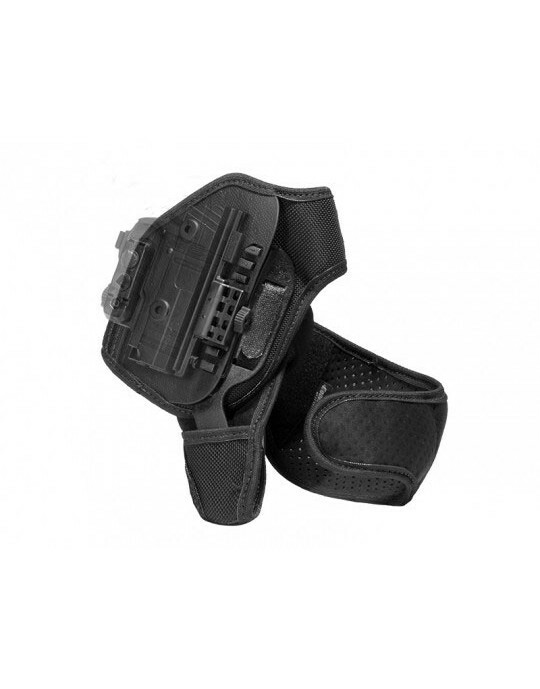 Adapt the gun holster to any aspect of your life. 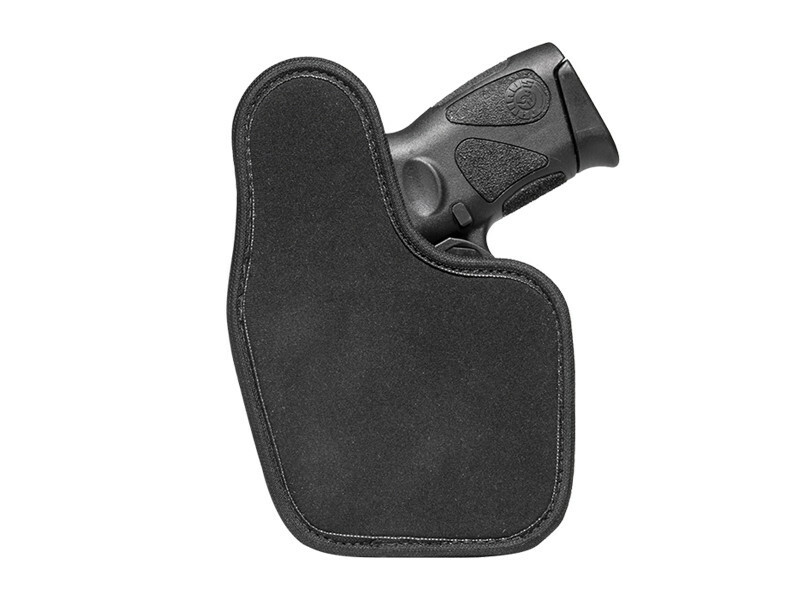 We cover the holster with a lifetime warranty and a 30-day test drive. 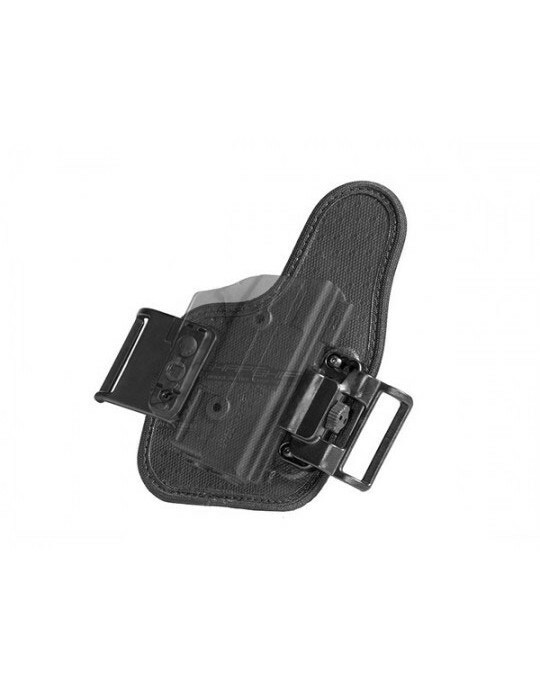 If the holster breaks or malfunctions for whatever reason, we will replace or repair it. You can see how durable it is within the first 30-days of owning it, but if for some reason it doesn't quite meet your expectations, we'll buy it back from you. 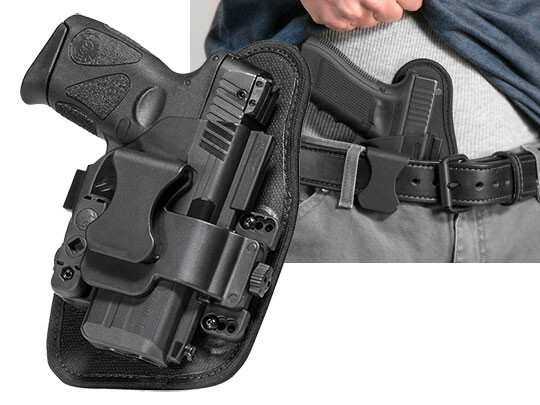 Every aspect of this appendix holster is designed with you, the concealed carrier, in mind.